and food (or drink) is an important bridge between the two. Body. Green tea is loaded with flavonoids, anti-oxidants that help prevent cellular damage from the sun, stress, etc. Not only does it have less caffeine than your regular black tea, it is also linked to good outcomes such as healthy weight maintenance & cancer prevention. 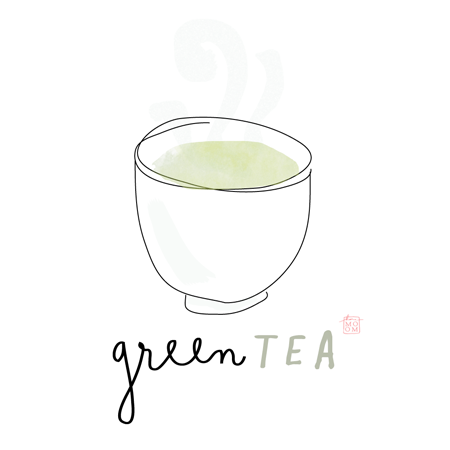 Do you drink green tea? How do you like to have it? PS. Something to consider incorporating into your morning routine! I could almost savor your green tea with your words! I've purchased some tea from teavana before. It was a blueberry flavor and making iced was amazing!